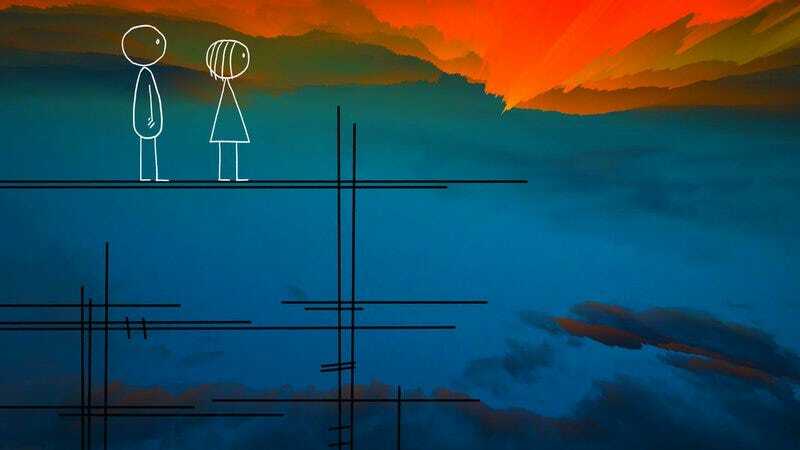 Don Hertzfeldt critically acclaimed—possibly even the best film of 2015— animated short World Of Tomorrow has a Kickstarter going to raise funds for a limited edition release. The Blu-ray will be packaged with Hertzfeldt’s first feature film, It’s Such A Beautiful Day. The campaign, which stands at roughly $83,000 with 26 days left to go, has already raised more than double its original goal of $30,000. With more funds comes more films, so the Blu-Ray release might not remain limited for much longer. As his project nears the $100,000 mark, Hertzfeldt has thrown in HD versions of his short films The Meaning Of Life and Rejected in place of special features or commentary. Backer rewards include a copy of the Blu-ray, museum-quality art prints, helping fund future Hertzfeldt films, and knowing you’ve helped feed Hertzfeldt’s cat.